Residents were invited to come down and participate in what the park hopes will be the world's largest fossil dig. BLASDELL, NY - The Village of Blasdell played host to a world record setting attempt Saturday morning. 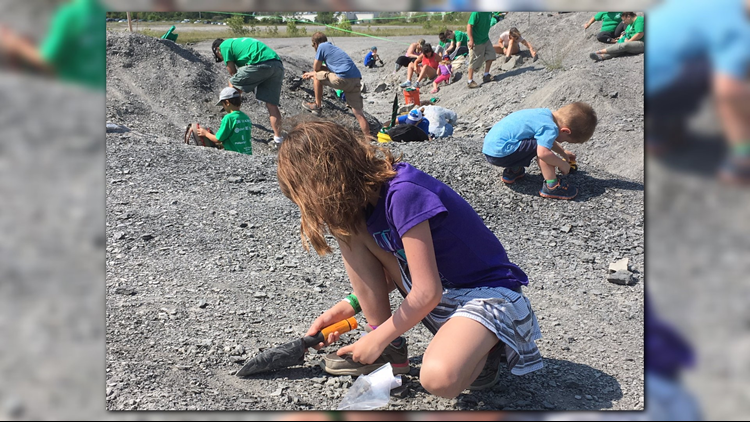 The Penn Dixie Fossil Park and Nature Preserve held the event Saturday, where residents were invited to come down and participate in what the park hoped would be the world's largest fossil dig. "[The Guinness Book of World Records] specified that we would have to have at least 500 people collecting fossils for at least thirty minutes," said Phil Stokes, the park's executive director. "They have to use tools and then all fossils have to be verified by paleontologists, and so we said 'Alright, let's do it!' We set the date for August 25, and we've been planning for over a year now." In a few weeks, once those fossils have been verified, the park will find out if they broke the record. More: Penn Dixie Is The Top Fossil Quarry In The U.S.
For more information you can visit the Penn Dixie website.